There were a couple of times each year all six children were dressed up and forced to pose for photos: Christmas and, as above, Easter. 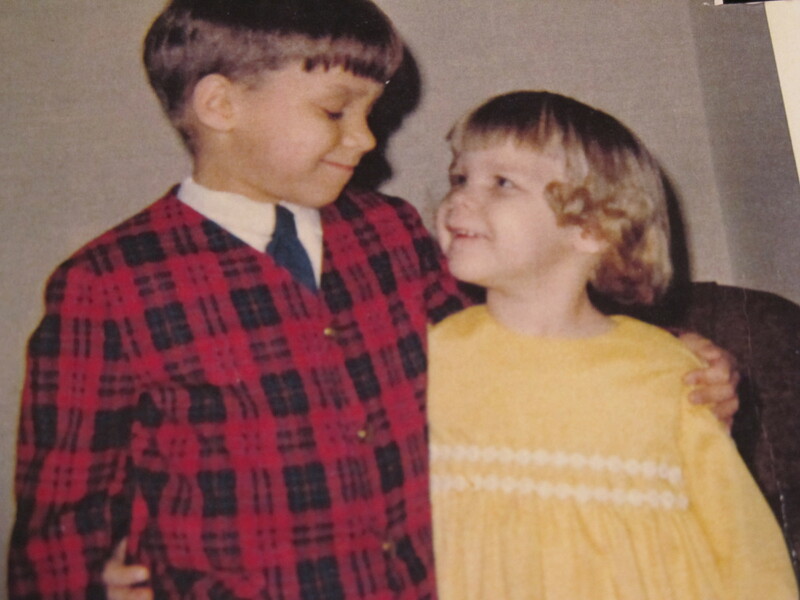 Both Jeff and Wendy are dressed in their Easter finery (I am certain Wendy’s dress was made by my mother, Shirley). I know it is a holiday because, in addition to the clothes, Wendy’s hair has been pin-curled. These details are all part of the charm of this photo for me. However, it must be clear to everyone looking at the picture, that the real reason I love it is the look of mutual adoration being shared between these two. Jeff is the protective and loving big brother to Wendy’s trusting little sister. Regardless of any changes their relationship may have undergone as the years passed, there can be no doubt that they loved each other! love this photo. Good days indeed!